There’s clearly something in the aqua in Brazil. 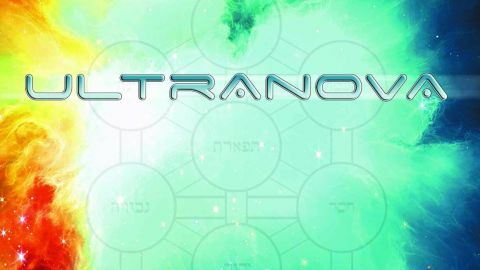 The quartet Ultranova are led by their wonderfully named synth player Thiago Albuquerque on their self-released debut. Orion is a collection of instrumental spacescapes showcasing their skill at spinning a cosmic atmosphere, throwing in some noodly ELP-isms, fusion smarts and hooks aplenty on tracks such as the catchy Órbita, the Moraz-lyrical Abismo Azul and jazzy Aquântica. Guitarist Dan Leite’s reach exceeds his grasp at times, but it’s just a sign of ambition here. Fans of pure prog should hunt this one down. Sao Paolo’s accomplished synth guru Corciolli has finally embraced his inner prog god on Ilusia (Azul Music), a glossily-produced set of instrumentals with titles like The Man Who Disappeared In The Painting and Ghosts Of The Perpetual Mansion. Cinematic in scope, crystal clear in sound and with shifting compositions drawing on Vangelis, Yes and (so he reckons) Van Halen, this is ultimately a beautiful hymn to the architecture of the church of prog. To Oslo, and 11-piece Gentle Knife owe a debt to the godfathers of our form, but the Norwegians’ new album Clock Unwound offers a fresh slant. With woodwinds, trumpets and male and female vocalists joining the fray, they burst into vivid life (Smother), gaze at their collective navel (Fade Away) and soar into rock-operatic skies (Plans Askew). A fascinating, robust record filled with proggy spirit. But if you think songs are overrated, then how about Curanderos (Fire Records). The eponymous collective release from US psych rockers Bardo Pond and experimental ensemble Kohoutek sounds exactly as it should. The droning, intense Mescalito Pt.1 and Pt.2 will thrill fans of D minor for 20 mogadon-fuelled minutes, each. As those with an ear for this strain of avant-garde, kosmische-inflected improv know, it takes real skill to sustain this level of monotony for this length of time. This is one for that happy few. Closer to home, Brighton’s Roy Weard sang for festival faves Wooden Lion in the 70s before engineering/tour managing for the likes of Wishbone Ash, Manfred Mann’s Earth Band and Kevin Ayers. His own self-released LP This House In Amber is a substantial set of psych rock tunes, and if they’re scuzzy around the edges it’s due to their hard-won, Hawkwind grit. This is one Weard life story well worth the telling. Finally, 19-year-old Londoner and Flaming Lips/Knifeworld fan Ben Lester shows a precocious facility for indie prog on Tomorrow Waits, his self-released, self-performed third album. Lester’s occasionally, er, ‘atonal’ vocal style may be a Marmite factor, but the 11-minute psychedelic morass of the title track, the Mellotron-powered Here and languorous soundscape In Time prove he’s brimming with ideas and musicality. With the right guidance, we could be hearing much more of him.